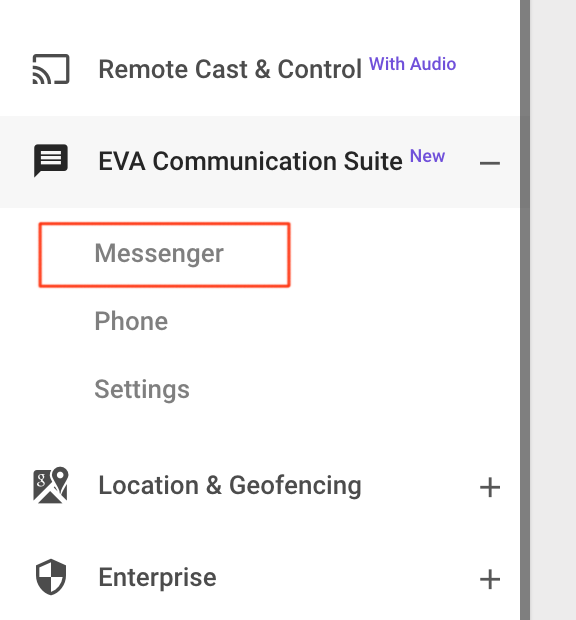 Eva Messenger component provides the capability to Chat and Voice call (using VoIP) functionality between Administrators and devices on field. 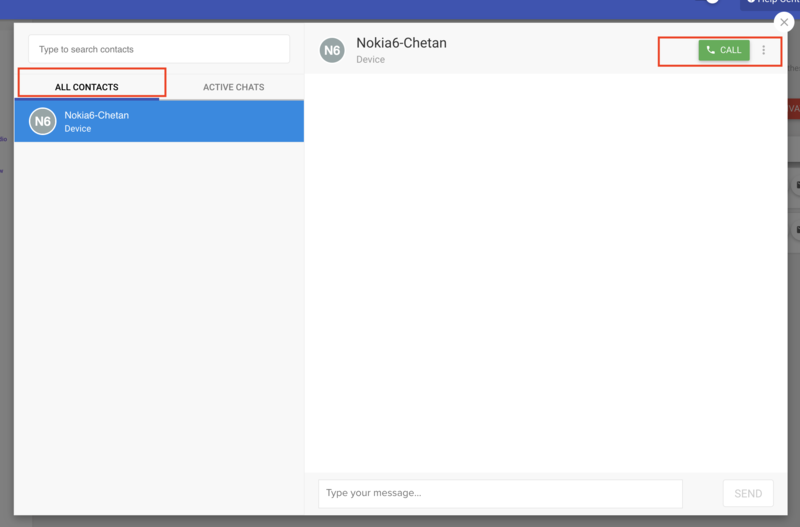 In this document we will see how to initiate a Chat and Voice call from MobiLock Dashboard. Make sure you have the Eva Communication Suite enabled for your account. Eva Client has been setup on Devices. Sign In to MobiLock Dashboard. You would see a pop-up window on the screen with two tabs as All Contacts and Active Chats. Click on the All Contacts tab. 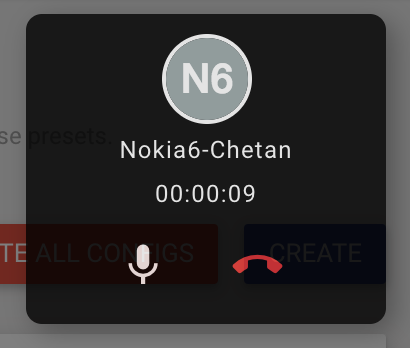 Select the contact/device that you want to make a voice call and click on CALL. The browser will ask for permission to use the microphone of your desktop or laptop. Click on Allow or Yes depending on your browser, to make a call. 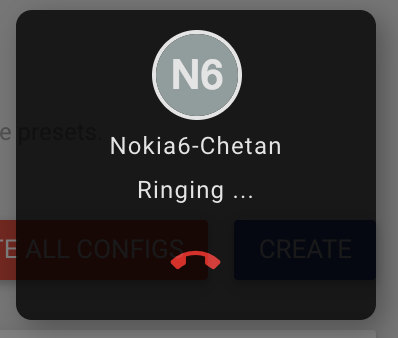 If the contact/device that you are trying to call has the latest version of Eva (v 2.0.0) installed then a call will be placed and a dialog below will be shown. Question: Can the employees call the administrator using Eva app? Answer: Yes on all the MobiLock managed devices which are using the latest version of Eva (v 2.0.0), the employees can use the call feature in Eva Chat tab to call the administrator. Question: What happens if the administrator or employee is not online when a call is placed? Answer: The calls which are not answered are shown as Missed calls, both on Dashboard and on Eva app client. Question: Can an administrator install the Eva app on his/her device and make VoIP calls from the app? Answer: Yes. They can click on the contact that they wish to call and use the Call option. Question: Does this feature require the devices to be connected to internet? Answer: Yes. This feature works only if the devices are connected to internet.